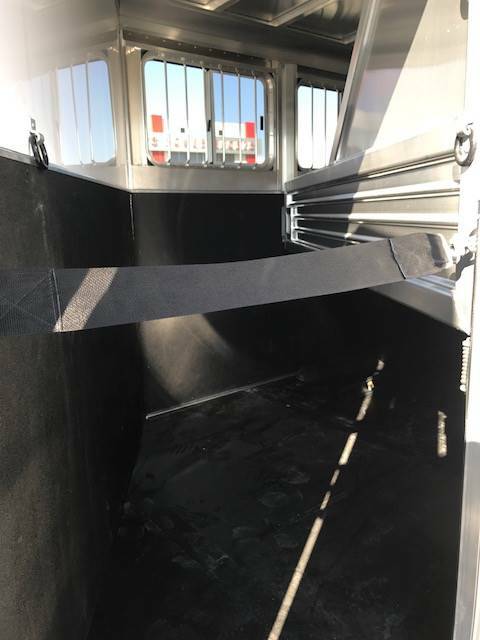 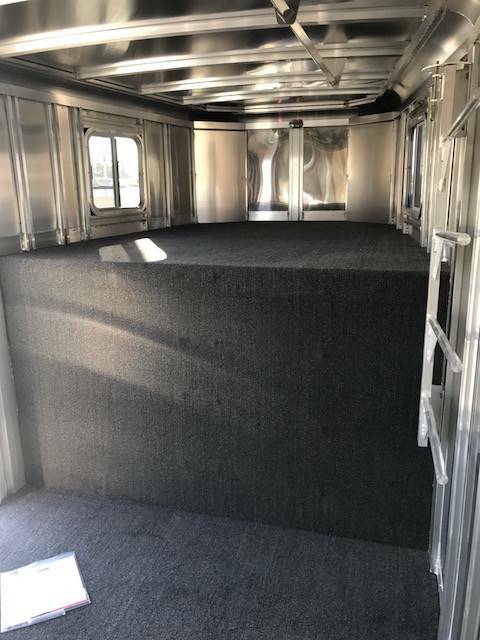 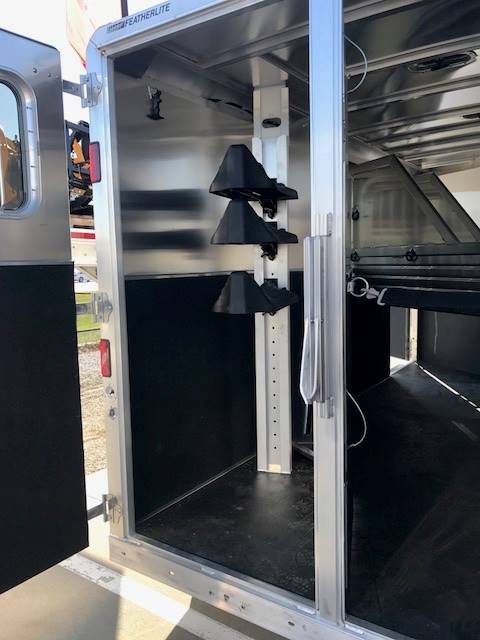 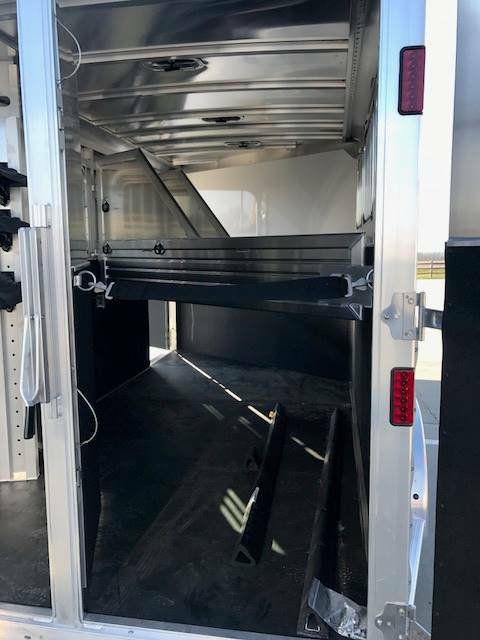 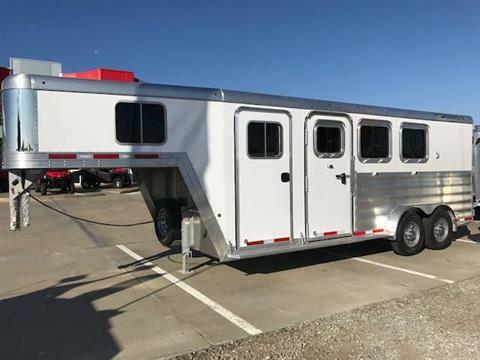 Trailer Width7' 0" or 7' 6"
WeightFor the weight of this particular model, please download and reference Trailer Weight Index for gooseneck horse trailers. 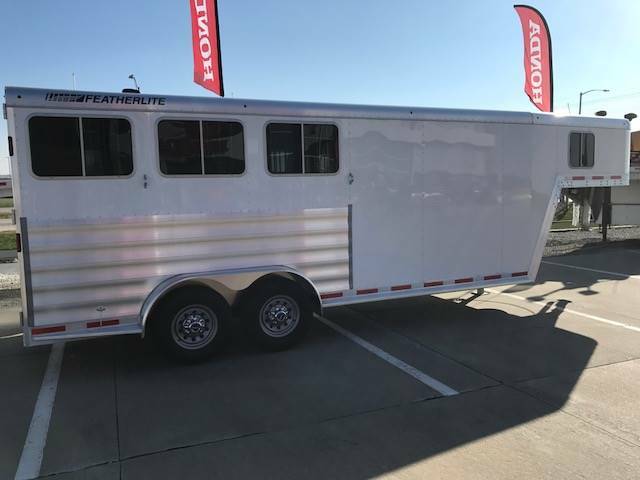 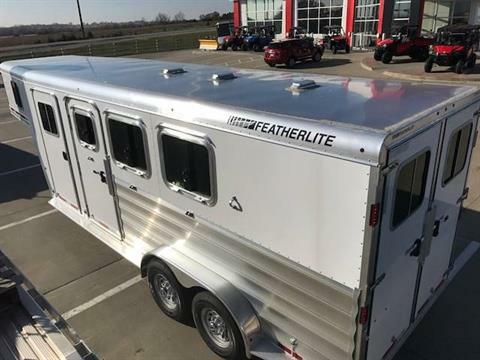 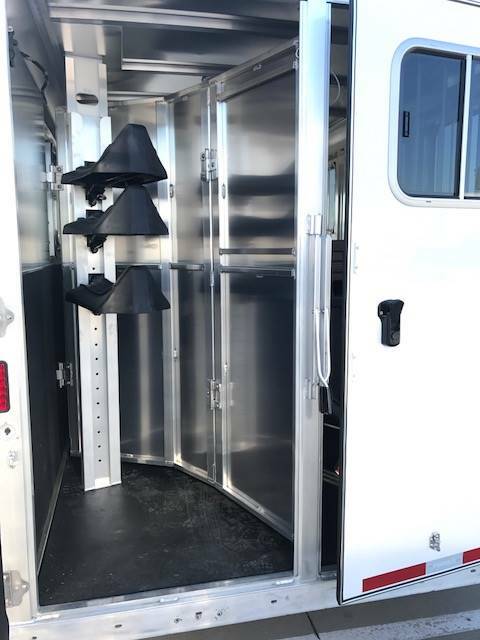 Featherlite Model 8541 gooseneck horse trailers are slant load trailers that can be customized to hold 2 to 6 horses. The length partially depends on the number of horses, although you can select any dressing room size. Length ranges from 15’ to 33’ while width can be 7’ or 7’6”. 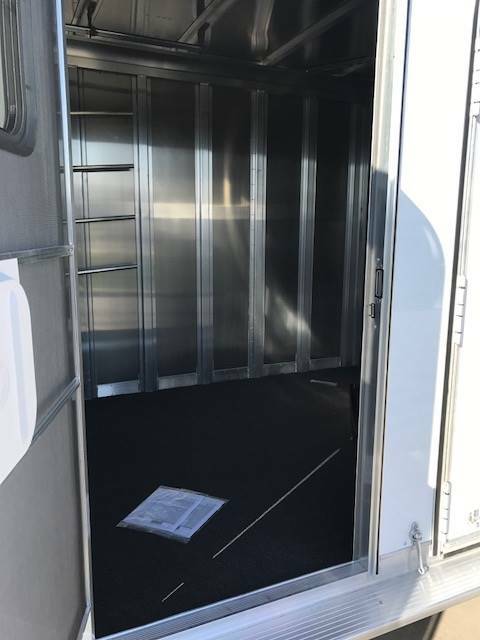 The horse area has rubber on the walls, as well as 3/4” rubber floor mats. 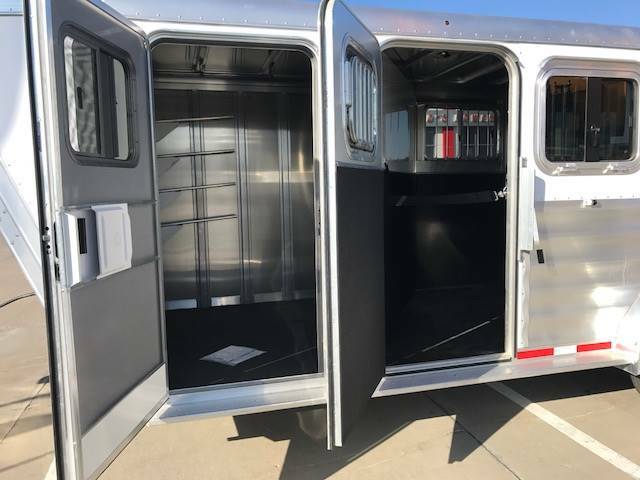 The 8541 also features a side-load door on any trailer except the 2 horse option, a folding removable rear tack and drop down feed doors. 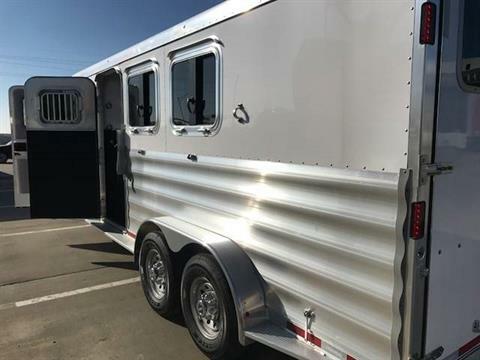 Base specs are listed, but many options and customizations are available.